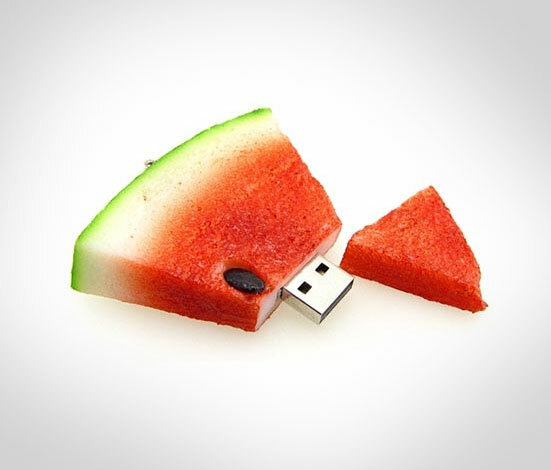 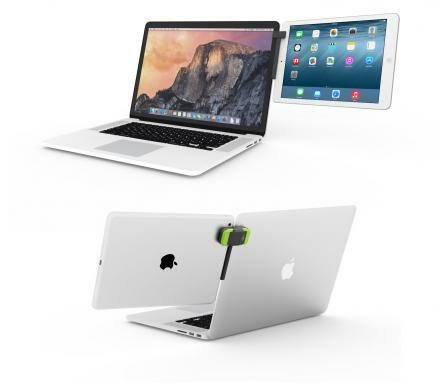 The watermelon flash drive is exactly what is sounds like, a jump drive that looks just like a slice of watermelon, and is perfect for people how love the sweet and moist taste of fresh watermelon, but also love the sweet yet bitter taste of computer data. 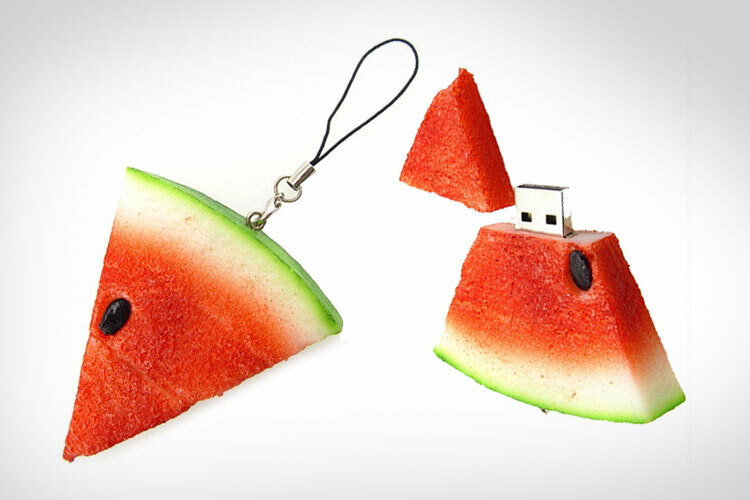 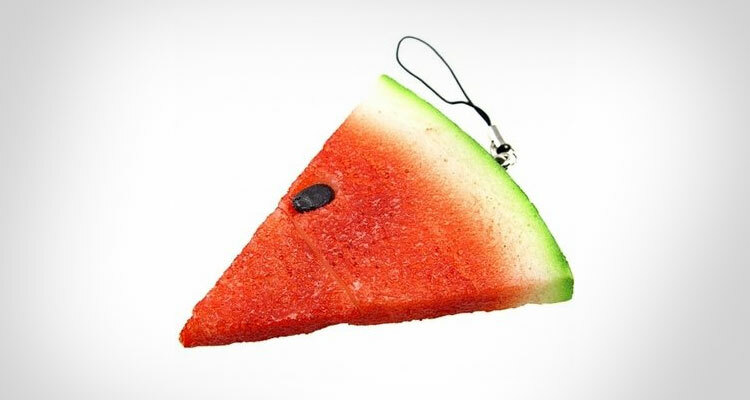 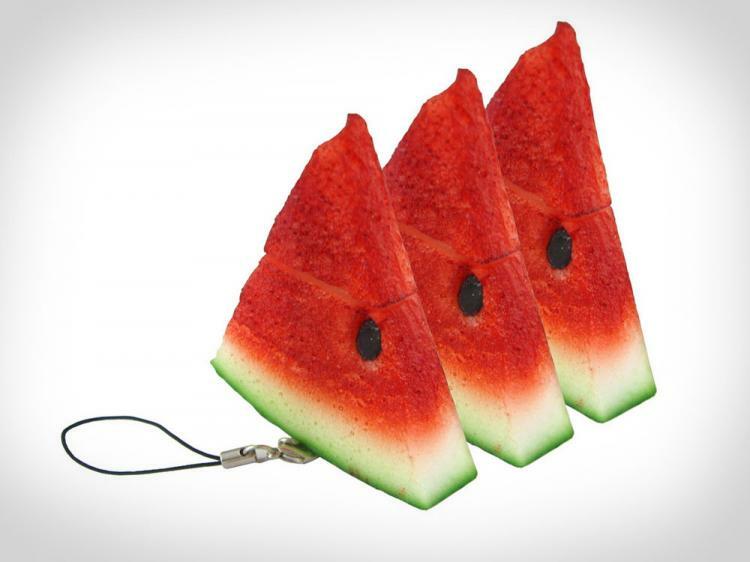 No longer will you need to show your love for watermelon by carrying an actual watermelon with you everywhere you go, just pop the ol' watermelon flash drive with you in your key-chain, purse, bag, or briefcase, and once you get asked by a stranger how much you love watermelon, you can show them by transferring them over a few photos of you eating watermelon via the watermelon flash drive. 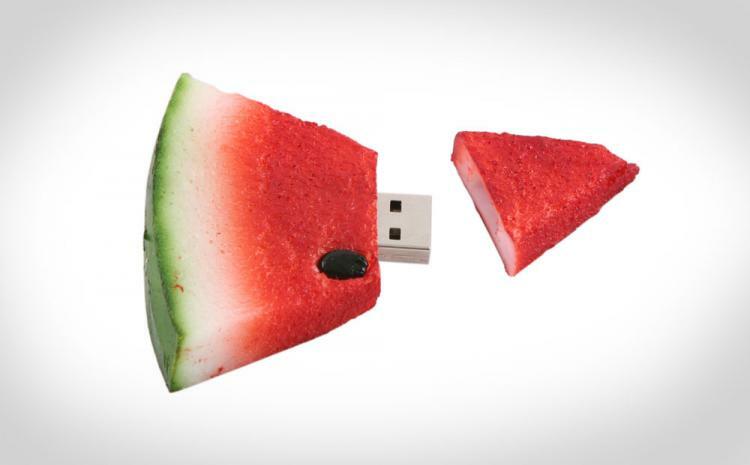 The watermelon flash drive comes in a few different sizes: 4GB, 8GB, 16GB, and 32GB, with varied prices, and is compatible with USB 2.0 and 1.0.